While it certainly isn’t time for our robot overlords to take over the Earth, artificial intelligence plays a bigger and bigger role in our world every single year. As you might expect, the marketing industry is no different; marketers are now actively working with artificial intelligence and algorithms to help them improve marketing efforts. We’ll explain a few of the most common methodologies right here in this week’s post. One of the biggest benefits for marketers to use AI is a significantly improved ability to gather information about the customer, their interactions, and their communications with your business. Rather than needing to review chat messages, emails, mail, and other communication channels, in addition to customer profiles and notes on an account, marketers can now automate the process of gathering and displaying the information in a useful, highly visible format. Where the magic happens is after the system gathers information. AI-driven algorithms automatically interpret the information, identify what matters most, sort it, categorize it, and store it. The program can then make recommendations or even display reports based on that data, something that can take hours or even weeks to create by hand. Ultimately, this benefit makes it easier to get to know your clients and customers, but it also shortens the length of time and effort required to gather data. This, in turn, allows you to focus your human efforts on other areas of marketing, like being creative or directly interfacing with your customers. A significant portion of customer interactions can be resolved with fast, easy answers to simple questions. This is especially true on social media platforms, where a user may want something as simple as your hours or your website url at all hours of the day or night. Before the last year or so, it was expensive and time-consuming to hire someone to “man the chat” at all hours of the day or night. That’s why most businesses just avoided responses altogether, but this approach can and will cost you customers who become frustrated at the lack of response. AI-driven chatbots, however, are perfect in this role. They are now intelligent enough to not only interpret what the customer or client is asking, but can respond with the right information, often the first time around. Moreover, automated chatbots don’t charge an hourly salary and can effectively work for you right around the clock! 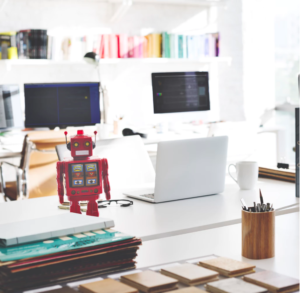 AI-chatbots don’t just respond faster (and during off-hours); they have a significant impact on the sales funnel itself. The most important impact stems from the ability to connect with the customer at just the right moment. Essentially, AI automatically detects where someone is in the sales funnel based on what they ask or say – for example, “How do I buy this product?” or “How much is shipping? It then takes that information, forwards it to the correct department (sales), and then responds to the customer with the most time-critical information. This approach shortens the sales funnel, either by giving the customer what they need to buy right now or by ensuring sales connects with them before they change their mind. It can be the difference between success and failure in campaigns. At Go Digital WSI, we merge technology with timeless strategies for getting to know your customers and marketing your brand. Reach out to us today to learn how we can help you vastly improve your analytics and conversion rates.